Tint Magic Window Tinting offer Computer Cut Paint Protection Film to protect your vehicle from damage caused by salt, rocks, insects and other road debris. 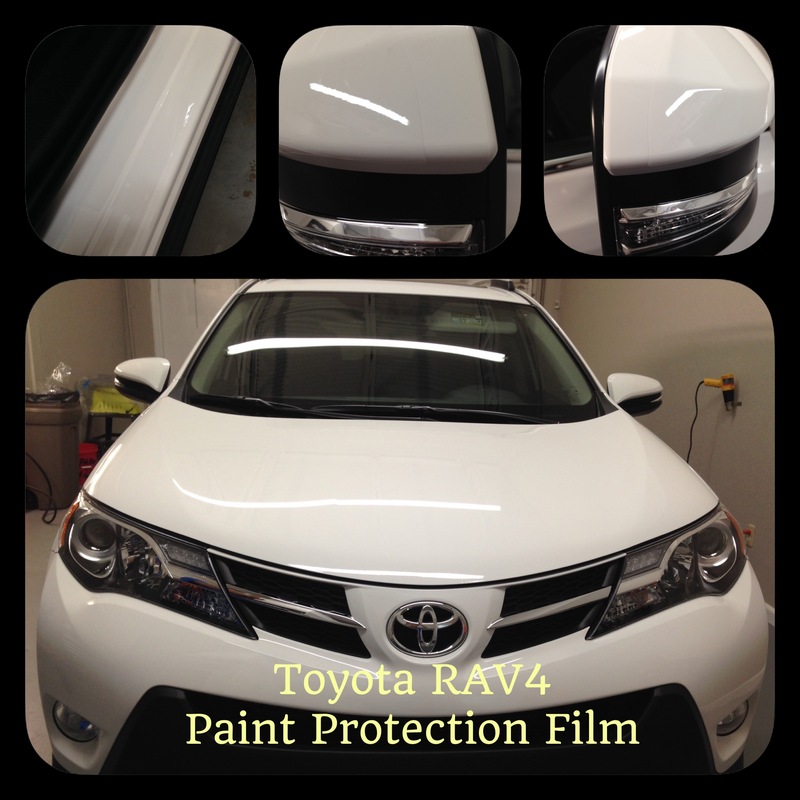 Paint Protection Film is an invisible coat that is scratch and crack resistant with a high gloss finish, superior optical clarity and comes with 5 years Manufacturer’s Warranty. Tint Magic Window Tinting serving Coral Springs, Tamarac, Parkland, Coconut Creek, Sunrise, Weston and Margate. While the SE gets all of the cosmetic updates enjoyed by the entire 2016 Rav4 lineup—a higher hoodline, new headlights, simulated skid plates front and rear—it also gets its own touches. Those include a more aggressive-looking honeycomb insert in its grille, LED projector-beam headlights, unique 18-inch wheels, and a front “skid plate” that juts forward prominently like the lower lip of a giant, glossy carp. There’s also a special S-Code paint design, which replaces the lower black bits with silver ones and can be combined with Super White, Black Sand Pearl, or Electric Storm Blue paint on the rest of the body panels. Inside, the SE gets contrasting stitching on its SofTex (artificial leather) seats and shifter. The seats themselves have slightly larger side bolsters as well as eight-way power adjustment and seat-position memory for the driver. The available interior color choices are Black and Black/Cinnamon combined with a black headliner and Gunmetal Gray trim.